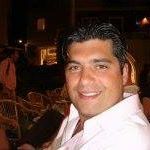 Mike Melhem, Jr. earned a BA from the University of Michigan before working in the Software Industry for several years. He joined CTS in 2001 and has since then supervised the technological side of the business. He spearheaded the transition of CTS from a single offline GDS to a multi-GDS operation with a major online presence, and continues to bring CTS into the technological future. Travel Research Online (TRO): Hello, Mike. Hope your day is well. Mike Melhem (MM): Doing Great! TRO: CTS has been around for 50 years now. That’s quite a long time in the travel and tech industries. To what do you contribute this last half-century of growth? MM: For us it’s been a combination of having great people within our organization and taking care of our agency customers. We strive to be competitive in not just our prices but our service and the tools we provide to our customers. Over the years we’ve been part of the ups and downs in the Travel Industry and I’m amazed at how the industry, as a whole, has weathered the storms throughout. From terrorism to online competition, our customers have not only survived but thrived and they are a testament to why we have been so successful. TRO: CTS is a family business, which usually means that it has more heart in the travel industry. How does having a position in a family-owned business change your day-to-day workflow…compared to working for another company? MM: Being in a family business is one of the greatest blessings of my life. Our family has grown over the years and it’s been super rewarding to see how we’ve grown both as a company as well as personally. We treat all employees as members of the family, which means we set a high bar for how we do things around here. TRO: It’s been a while since we interviewed you in 2016, and technology is still on the rise in the travel industry. What trends have you noticed in the way agents book for their clients since then? MM: The main trends we see in the airline space is trying to make sense of all the options available to the customer. The main focus for our technology is to give agents the tools to compete with all the various outlets online. Airlines now want to brand their fares in a way that allows them to differentiate their product and our goal as an airline ticket supplier is to facilitate that for both our airline partners as well as our subagent customers. TRO: CTS has a goal of letting the agent take center stage with their client, with B2BC materials available for bookings. This is rare in the age of businesses yearning to get their name out anyway possible. How do you view this move as a win/win for both CTS and agents? MM: Making the agent the star has always been our focus as a company and this is what has allowed us to be market leaders in the airline consolidation space. The agent at the end of the day is the one with the customer, and our model has always been to facilitate that. If our agents win, then we win. TRO: How’s Cosmo, the helpful robot, doing? Not slacking off at his job, I hope. MM: Oh no…Cosmo is doing great! He actually has a lot more responsibilities now and will be showcasing some new talents soon. TRO: How important do you think transparency is in the process of offering a service to book land and air travel? MM: Super important. Transparency has been our motto since the beginning and that brings trust and a true feeling of togetherness between us and our sub agent customers. TRO: CTS, of course, is primarily a booking engine for land and air in a flexible and reliable way. What would you say to agents who still haven’t made the technological jump into using an online consolidator? MM: I would tell agents that haven’t tried an online consolidator to give it a shot. We have the tools that will allow them to not only compete with the OTA’s but also to make money doing it. We know that if all things are equal on the technology and prices that the agent will win over the customer 100% of the time versus a website. TRO: In the last interview, you said that CTS was working on giving your online engine greater capabilities. Can you give us a rundown of what has been done, and what CTS is planning for the future? MM: We have a lot planned in the coming months. We’ll be releasing a brand-new self-service portal for our agency customers that will allow them to take control of their business with us. They’ll have the ability to search our nets and commissionable rates, send branded customer proposals, self-ticket their reservations, and have the ability send out branded confirmations and invoices to their customers. The focus will be to make the agents the star! TRO: Mike, thank you for your time. We hope to talk to you again in the future. MM: Thank you too. It’s been a pleasure! For more information about CTS Fares, please visit https://ctsfares.com/. Rob Huffman can easily state that his career in the travel industry began more than 30 years ago while attending the University of Tennessee. But truthfully, his travel bug began as a youth, growing up in the industry as the son of travel agency owners, who were as passionate about travel as he is.